This country residence is a fully furnished, two storey family home situated on a large rural property about 4 acres in size. With a long tree lined driveway, it is well off the road and is totally private with stunning views of Coronet Peak to the north and The Remarkables to the south. It has a tennis court with tennis racquets available, a Petanque area, and wide open spaces for outdoor activities, including a family area with a BBQ - perfect for families with children. There is a large cosy open fireplace in the lounge with plenty of firewood for the winter. A 50" flat screen TV with Freeview, Netflix and Lightbox, is located in the main lounge with a second living area adjacent to a large fully equipped kitchen. There is high speed internet/WiFi with unlimited access. A portacot and highchair are available on site if needed. This property's location is central to many of the tourist attractions in the area. It is only 10 minutes drive from the airport and a few minutes drive to the road up to Coronet Peak ski area. 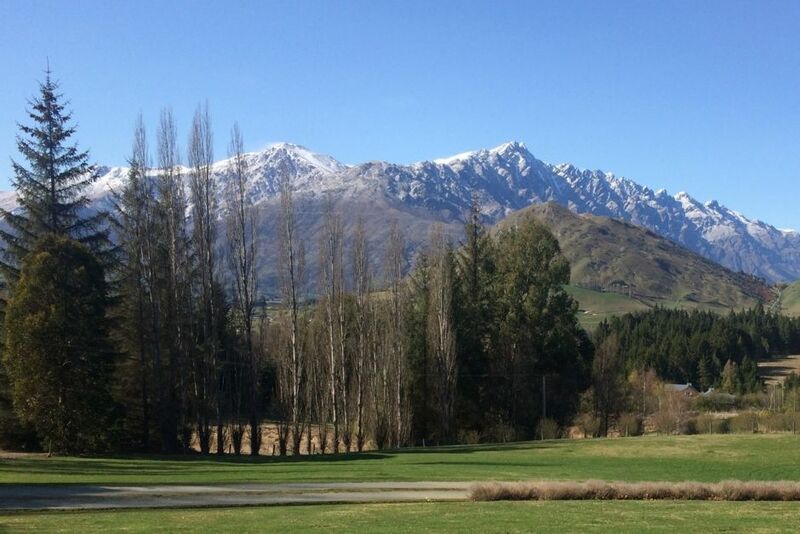 Queenstown is 15 minutes away with Arrowtown 10 minutes in the opposite direction. Arthurs point, with the Shotover jets and Onsen hot pools, is only about 7 minutes drive away. The ski fields of Coronet Peak, Cardrona and The Remarkables are close by, with mountain biking, tramping and wineries also available to enjoy. A property manager is available locally and is contactable by phone. Booking guest must be over 25 years of age. No tents/campervans or additional overnight guests without prior permission. Very comfortable charming home in a stunning setting. Well appointed, most bedrooms are generously sized with plenty of storage (only one is very small). Kitchen was very usable with all the appliances we needed, including bread maker! The heating worked beautifully and we had the fire on too some nights - very cosy! The only suggestion would be to amend access to upstairs toilet so it’s less of a private en-suite to the bedroom and more accessible to all guests. Thanks for a great stay! Stunning location, spacious yet cosy house. Stunning location, spacious yet cosy house. Had everything we needed for a great stay.